A Cold War-era nuclear arms control treaty between the United States and Russia is on the brink of ending now that the U.S. is pulling out of the agreement. According to Secretary of State Mike Pompeo, who made the announcement, the withdrawal is due to Russia’s alleged violation of the 1987 deal by developing and deploying missiles for several years. 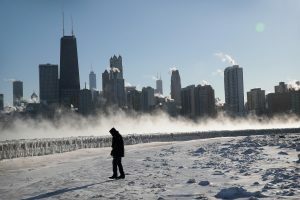 Meanwhile, much of the country was gripped by record-breaking below-freezing temperatures, wind and snow—a polar vortex that left at least 21 people dead. In U.S. politics news, New Jersey Senator Cory Booker confirmed his rumored candidacy for the Democratic Party nomination for president in 2020, seeking to become the country’s second African American president. 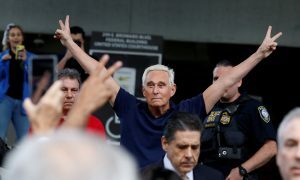 And Roger Stone, long-time informal adviser to President Trump, pleaded not guilty to charges of obstruction, making false statements and witness tampering, as part of Special Counsel Robert Mueller’s Russia investigation. 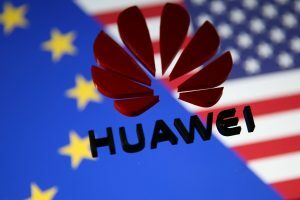 Tensions between the U.S. and China, as well as Chinese telecom giant Huawei, continued to escalate. The U.S. accused the company of stealing U.S. trade secrets and made a formal request to extradite the company CFO, Meng Wanzhou, from Canada for allegedly committing bank fraud via doing business in Iran. American tech giants Apple and Facebook faced trouble of their own, this time on the consumer privacy end. Apple had to disable their FaceTime app following the revelation that it enabled users to listen to and view other callers without their knowledge, and Facebook admitted to paying teens up to $20 to install a VPN that allowed the company to mine and track all of their personal data. In sports news, U.S. skiing icon and Olympic gold medalist Lindsey Vonn announced her impending retirement following a final competition next week in Sweden, and Super Bowl LIII is this weekend, featuring a face-off between the Los Angeles Rams and the New England Patriots.